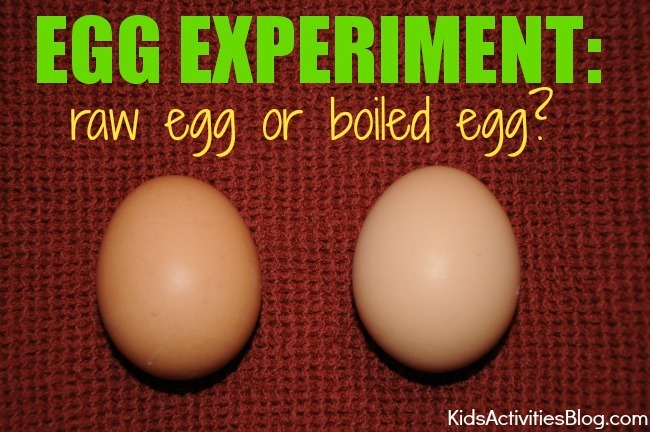 Egg Experiment for Kids: Raw Egg or Boiled Egg? 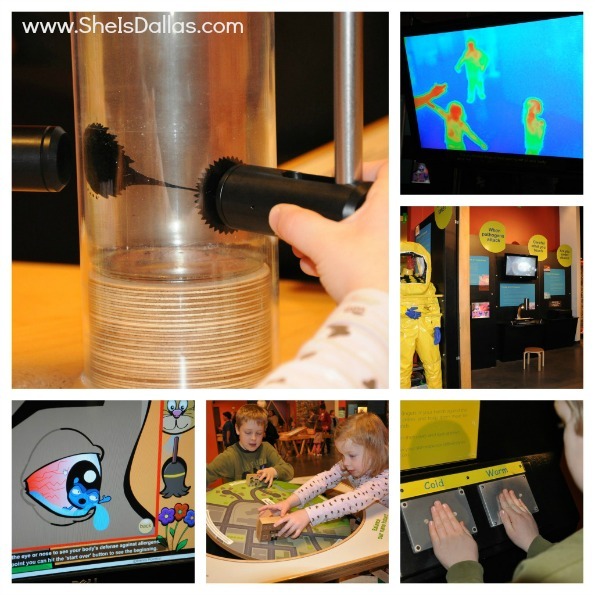 You are here: Home / Fun Activities For Kids (By Age) / Egg Experiment for Kids: Raw Egg or Boiled Egg? An egg experiment was necessary in our home this weekend. We were preparing for some serious egg decorating but lost track of which bowls contained raw egg or boiled egg. Without having to crack an egg, we used egg physics to help us solve our problem. We at Kids Activities Blog hope that you find this egg experiment helpful as you decorate your Easter eggs. We were boiling eggs like crazy this weekend. I’m surprised this happened but we actually lost track of which set of eggs were boiled and ready to decorate and which eggs were still raw. After a quick look on the internet we found a simple way to solve our problem. It turned out to be a fun little egg experiment and science lesson for the kids. 1. Place the egg in question on a flat surface. 2. Grip it between you thumb and fingertips and then gently spin it. Emphasize “gently” with your kids because a raw egg spinning off the table can get messy…I speak from experience! 3. While the egg is spinning, touch the egg lightly enough to make it stop spinning but then lift your finger off. 4. If the egg is boiled, it will stay in place. If the egg is raw, it will amazingly start spinning again. So what in the world is going on? This is a perfect example of inertia and Newton’s Law of Motion which states that a body in motion will stay in motion until acted upon by another force. The egg shell and its content are spinning along together. When you stop the egg from spinning, you stop the egg shell from moving but the inside of the raw egg is liquid and just keeps spinning around. Eventually the friction of the egg shell will slowly stop the liquid center from spinning and the egg will come to rest. Inside the hard boiled egg, the mass is solid. When the egg shell stops, the center of the egg can not move anywhere so it is forced to stop with the egg shell. My Science teacher at our preschool center did this experiment not too many weeks ago. Very interesting experiment and easy concept for 3-5 y/o’s to understand. I didn’t have pictures so I didn’t post it on my blog. Thanks for posting it here. Mom’s trick> Just spin the egg . A hard boiled egg spins quickly; a raw egg spins slower and erratically. This is a nice extension on the theme though. this is a fun experiment!!!!!!!!!!!!!!!!!!!!!!!!!!!!!!!!!!!!!! This is a very informative experiment to find out the raw and boiled eggs. My son already demonstrated this experiment on his science experiment in the school.